We are a full service design-build firm, with services ranging from full house remodels to kitchens to bathrooms and all the way down to smaller handyman projects. Since 1985, the residents of Tidewater have turned to our expert team for their remodeling needs over 10,000 times. Jerry Harris Remodeling holds a Class A contractor’s license and we are proud to maintain an A+ rating with the Better Business Bureau. 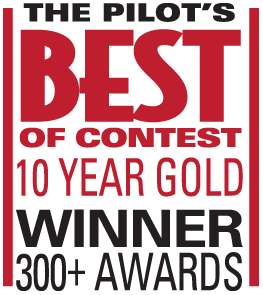 Jerry Harris Remodeling has won more Virginian Pilot “Best of” Awards than any other local business, having earned over 300 category “Best Of” awards and over 15 “Best of the Best” awards, and most recently, we were recognized as the Pilot’s only 10-Year Gold Winner. However, the prize we are the most proud of is our clients and the opportunity they give us to come back for second, third, or fourth projects. Our decades of experience have resulted in a company prepared to provide you with the right solution every time – from the smallest maintenance item to the largest addition or whole house remodel. Our Project Confidence Program, pre-construction conferences, quality control procedures, on time arrival, and background/security checks are all designed for you to end up with what you want, as hassle free as possible. Our Remodeling Consultants and Project Managers must have at least ten years experience if they want to join our team. All of our initial consultations are free of charge and our Remodeling Consultants have consulted on over 10,000 projects. We offer a 5-year warranty on all of our work. We are proud to be a recognized as a Qualified Remodeler Magazine “Top 500” remodeling company, a distinction that we have earned annually since the mid 1990’s. Remodeling Magazine also recognized us as one of their “Top 550” remodeling companies in 2015. To put this in perspective, there are over 800,000 remodeling companies currently operating in the United States.